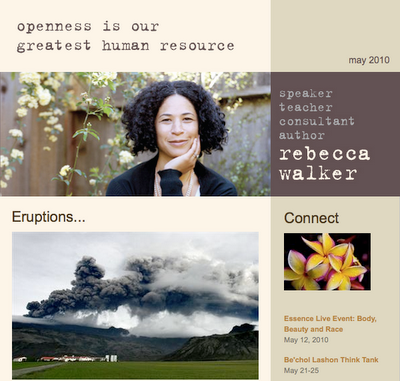 l o u p * c h a r m a n t: Le Loup adores Rebecca Walker! Le Loup adores Rebecca Walker! thanks so much to the beautiful Rebecca Walker for including us in her May newsletter! It's fantastic + so chop - full of great links and articles to read!! & how incredible is this opportunity?! - writing workshop with Rebecca in Hawaii!? Makes me want to write, just to go hang out with Rebecca in Hawaii! Her interview with Rebecca Skloot is amazing & eye opening! This story is just as much about issues of class and economic injustice." I want everything from the mistress of scents..
+ these are great organizations to support young women & micro-entrepreneurial women.